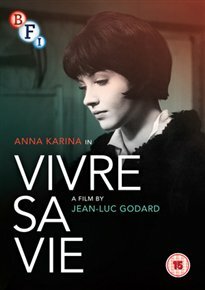 Anna Karina stars in this award winning examination of a womans decline as a Paris prostitute. The film uses documentary style interviews to tell the story. After separating from her husband, Parisian shop assistant Nana (Karina) decides that she wants to become an actress. However, when her finances prevent her from entering the film industry, all Nana’s ambition seeps away, and she ends up working the streets of the French capital as a prostitute. Her descent into the business is told in 12 short episodic scenes culminating in her being sold by the pimp.